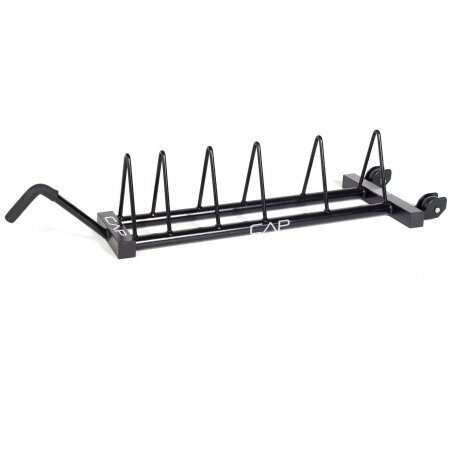 Quickly and easily store and access your Olympic weight plates with the CAP Horizontal Olympic Plate Rack with Wheels. The steel constructed rack holds a wide variety of Olympic weight plates and has transportation wheels and a handle grip for easy moving. It allows easy access to all your Olympic weight plates and keeps your workout space organized.